A telehealth appointment is just like any other medical appointment - but you will see the specialist on a television screen in a private room at your local health centre, GP surgery or home. If you like, you can ask family members, carers or friends to sit in on the telehealth appointment with you. Telehealth doesn’t replace face-to-face appointments, but supports them, so it is ideal for your follow-up or review appointments. Your specialist will decide if it is okay for you to have a telehealth appointment. If you will need to be physically examined or have tests on the day you may need to attend in person. Reduce the amount of time you need to take off work to attend appointments. To find out whether telehealth might be a good option for you, talk with your doctor or health professional at your next face-to-face appointment. They will decide if telehealth is suitable for you, based on your clinical circumstances. You can ring Telehealth Tasmania on 1300 027 894 or email telehealth@ths.tas.gov.au. Your GP can request for you that telehealth is your preferred method for your appointments, where appropriate. Talk to your GP about your referral or you can ring Telehealth Tasmania on 1300 027 894 or email telehealth@ths.tas.gov.au. You can ring Telehealth Tasmania on 1300 027 894 or email telehealth@ths.tas.gov.au and ask if your appointment can be by telehealth. Do you already have a telehealth appointment booked, but want to cancel or re-schedule? A telehealth appointment is just like any other medical appointment. It is important to keep your appointment as any investigation or treatment you require needs to be monitored by a health professional. We must be advised as soon as possible if you are unable to attend the appointment for any reason. Failure to do so may cause delays in not only treating you, but in treating other patients too. Non attendance of a telehealth appointment may result in an incurred fee. Please ring Telehealth Tasmania on 1300 027 894 to advise of a cancellation or to organise another appointment. What can I expect from a telehealth appointment? A telehealth appointment is just like any other medical appointment - but you will see the specialist on a television screen in a private room at your local health centre, GP surgery or home. Most people say it is just like being in the room with the specialist. If you are having the appointment at your local health centre or GP surgery, you won’t have to operate any of the videoconferencing equipment yourself. The staff there will link you in to the telehealth appointment. If you are at having your appointment from home, you will be sent an appointment confirmation email that will have your appointment date and time. The email will also have a web link for you to click on to join the appointment. You will need to follow the instructions that will be in the appointment confirmation email. You can also have a family member or support person with you for the appointment. Any photographs, X-rays or test results your specialist needs to see can be organised with you before the appointment and provided to them before or during your appointment. All medical records are treated according to privacy legislation and Tasmanian Health Service standards. This depends on what you need to talk about with your specialist and is likely to be longer if it’s your first appointment. As with all medical appointments, there are times when your specialist might be delayed and you have to wait. Telehealth appointments are as private as in-person appointments. Both you and the medical or health professional will be in a private room. Measures are in place to ensure the video call is secure. If you wish, you can have family members or a friend in the room for support. What is the cost of telehealth? (Please note: If you are having a telehealth appointment at home or on a mobile device, downloading and installing applications and using your computer or device for a telehealth call will use data and may incur download costs from your internet service provider. Video calling on your personal device uses about the same data download as a You-Tube video for the same amount of time. Private providers using their own technology may charge patients for a telehealth consult as per their usual fee arrangements). If you are at a Tasmanian Health Service site or a GP clinic the specialist may ask the health professional who is with you for the appointment to examine you for them. The specialist may decide that it is not appropriate to see you by telehealth and request that you attend a face-to-face appointment. Telehealth Tasmania can assist you with organising your appointment by telehealth. The specialist you are seeing will need to agree that it is okay to see you this way. Telehealth appointments can be Supported or Patient-Direct. Supported appointments are when you and the specialist meet in a videocall, with the patient going to a rural or urban Tasmanian Health Service site, or a GP clinic that has videoconferencing capability. Staff at the site will link up the video call and take any observations that may be needed (i.e. blood pressure). If the appointment is at a Tasmanian Health Service site, as a public health service, it is free. If the appointment is at a GP surgery, the patient may have to pay a GP consult fee. Patient-Direct appointments are when the patient and specialist meet in a videoconference, with the patient using their own computer, laptop, tablet or smartphone. Before their appointment, the patient will be sent an appointment confirmation email with a web-link that they can click on just before their appointment is scheduled to start. If the patient uses programs such as Facetime or Skype to video call, then they will be able to have appointments by telehealth. If they can’t make video calls from their personal devices, then patient-direct telehealth will not work. The data download for a telehealth appointment is about the same as watching a You-Tube video and so it is ideal to have a strong internet connection, and access to wi-fi. Patient-direct appointments are useful where the patient does not require assistance or support; or alternatively, where they are unable to leave their home (e.g. due to pain) and they have a health professional with them in their home (e.g. their GP). If the GP is with the patient during the telehealth appointment in their home, the patient may have to pay a GP consult fee. Can I have my Telehealth appointment at home? This is not always possible because the specialist may personally need to physically examine you, or where your situation at home is not appropriate (e.g. too noisy or not enough light on you, or the microphone is inadequate). You may be able to have your appointment with your specialist at home using telehealth, if the specialist agrees that this is appropriate. The clinic will have provided you with an appointment confirmation email for your appointment at home. If you have not received this information, contact the clinic directly. If you want to access a telehealth service, speak to your health service provider and ask if they offer telehealth. If you want to access telehealth for services provided by the THS please contact Telehealth Tasmania on 1300 027 894 or email telehealth@ths.tas.gov.au. to download and test the application one week prior to your appointment. If you are unsure about how to do this, you may want to ask for assistance from a family member or friend. Telehealth is not difficult, but some technology skills are required. It is important to note that downloading and installing applications and using your computer or device for a telehealth call will use data and this may add to your download costs from your internet service provider. Telehealth appointments are secure, and the video call cannot be recorded by your yourself, your specialist or any other person present. As with normal face-to-face appointments, privacy and confidentiality are maintained at all times. Private or sensitive treatment issues can be discussed during a telehealth appointment and additional staff members will not be permitted in the consultation room without your consent. As a GP what do I need to do telehealth? If you identify a patient that would like to do telehealth and you would like to be involved in their appointment, then contact Telehealth Tasmania on 1300 027 894 or telehealth@ths.tas.gov.au and we can help facilitate this for you. Twenty three MBS items are available for patient-end services provided to patients during their telehealth appointment with a specialist, consultant physician or consultant psychiatrist. These items are for face-to-face consultations when patient-end practitioners provide clinical support to patients during their telehealth appointment. Patient-end services can only be billed when it is necessary for the provision of the specialist service and the specialist service is an MBS rebatable telehealth appointment. The following technical requirements are listed in order of importance, we recommend working through the list prior to your first conference. Telehealth Tasmania also encourages you to talk to your IT provider, they can confirm you are ready and provide you technical support for your practice. A secure and up to date system on your computers. Make sure you update your operating system, internet browser and anti-malware regularly. A reliable internet connection with a reputable internet service provider. Ideally based on the NBN. High Definition video conferencing (720p or more) requires a minimum of 1.5Mbit to and from the internet. Most NBN and ADSL2 based connections can sustain both a video conference and usual office traffic. Mobile internet and wireless can work but is variable in terms of connection speed, which impacts call quality. A reliable IT network within your building. Ideally use a wired connection rather than Wi-Fi for video conferencing. Ideally all PCs participating in telehealth should be connected to Ethernet. A reliable wireless connection will work but it is less stable than a wired connection. 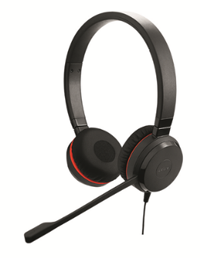 A good quality audio device. 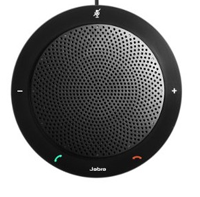 We use Jabra Speak 410s. 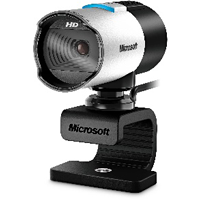 We suggest using dedicated USB webcams capable of high definition video. For best results bright light sources such as windows should be behind the camera. Some laptops already have built in webcams. These will work but they vary in quality. A dedicated camera will provide a better experience. Webcams should be capable of at least 720P at 30 frames per second. We use Microsoft LifeCams Studio Pros for desktop computers, but in other scenarios such as Computer on Wheels or large rooms, the more expensive Logitech PTZ and Logitech VMeeting cameras provide good results. Make sure your USB webcam and audio devices are plugged in when you start your computer to ensure they are the default audio and video devices. This particularly an issue for Windows PCs. Option 1: Contact your health facility, and talk to the nurse manager, doctor or health professional. Option 2: Download the Telehealth Online Feedback Form - For Patients or Telehealth Online Feedback Form - For Clinicians and email to telehealth@ths.tas.gov.au or drop this form into your nearest facility or where your appointment took place.